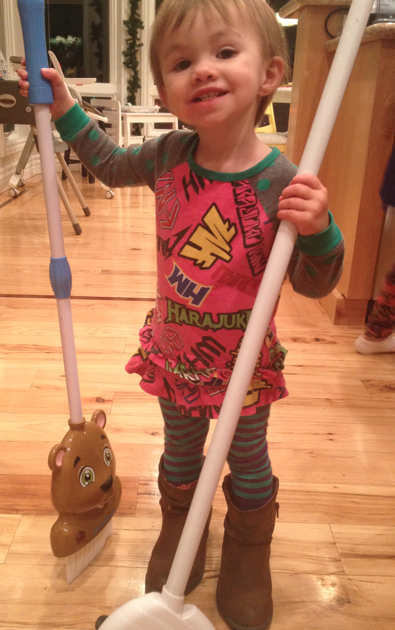 Ellie love to sweep. And I mean, LOVES to sweep. If she sees a broom in someones hands, she is right there to try to take your sweeping job away. 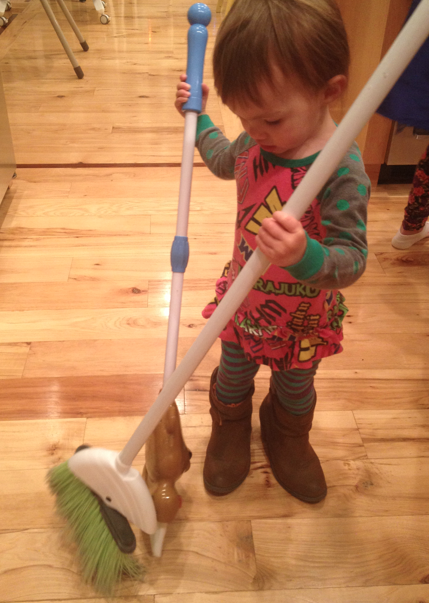 My favorite though, was when she went and got Alani's boots (which we got at Target)...and clomped into the kitchen and began the "cutest lil' sweeping" job! And my extra-favorite, is that she even had her super-sized boots on the wrong little feet! And her "teeth-together" smile kinda cracks me up too! Wanna SEE my other BLOGGY, CLICK CLACK on this.